The CBHS Transportation Department’s #1 priority is student safety. We’ve taken steps to address safety including but not limited to having clear student expectations of behavior and conduct. The department operates 13 daily routes, including routes into Fremont, Prague, Woodcliff, Colon and County Road routes. 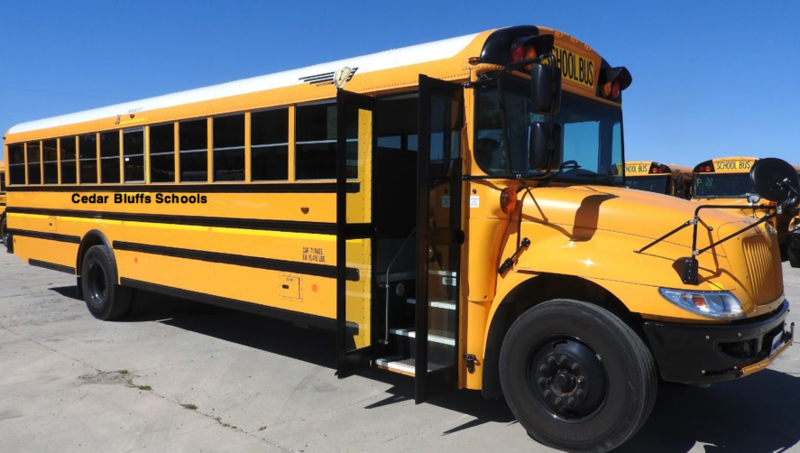 CBHS also provides transportation for school field trips, athletics, and activities as requested. We have 7 professional drivers to drive our fleet of five buses, three vans, two mini buses and one suburban. ALL other students are dropped off on the return to Cedar Bluffs.